It was about 2 years ago when I first heard, that as a diverse certified company, there was possibly an opportunity of being selected as a catering vendor for the Super Bowl in Atlanta for 2019. The team that coordinated this effort of vendors (Atlanta Super Bowl Host Committee) were seeking diverse companies to work with. 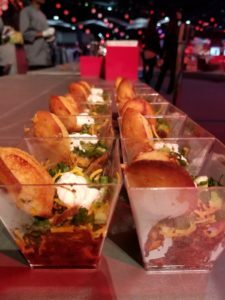 I heard about a mid-size catering company (also a diverse certified company) in Houston Texas that was previously selected as a catering vendor for the Houston Super Bowl in 2017. 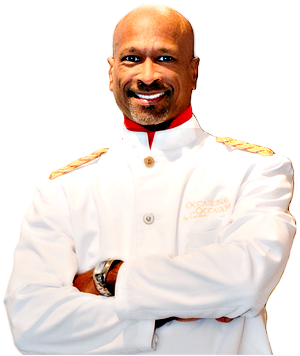 I was determined that I would give my self the biggest advantage that I could by being proactive in gathering information and intel. I was already scheduled to be in Houston for an industry conference anyway, so I reached out to the catering company and set up a meeting while I was in town. I learned a lot. Last March 2018, the train started rolling into Atlanta with buzz about the Atlanta Super Bowl Host Committee team being in Atlanta and having their first meeting, inviting all diverse companies to learn about the opportunities of working with the NFL. 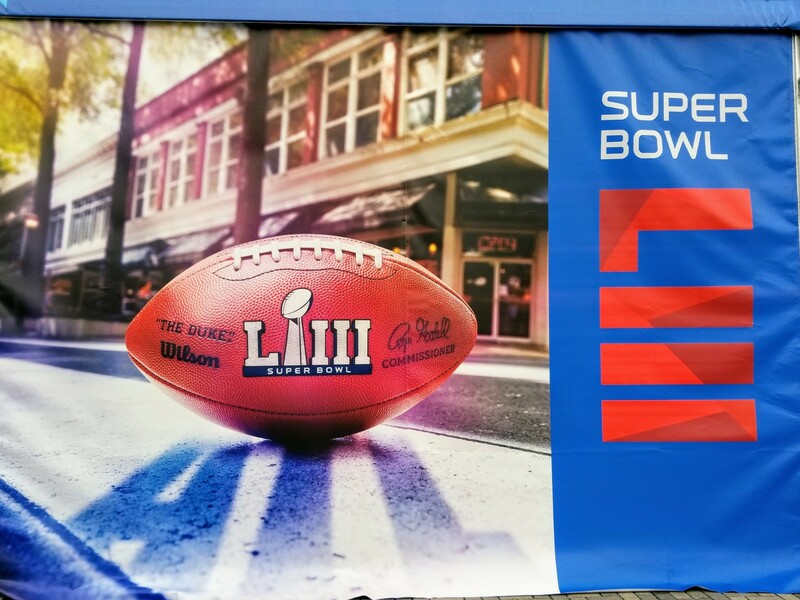 Long story short, out of 2000+ vendors who applied to become a vendor, Occasional Occasions was designated as one of about 200 approved vendors for the Super Bowl Business Connect Program. 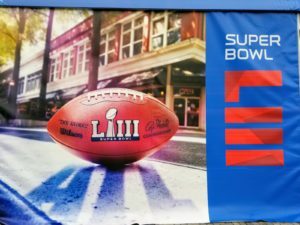 It was in the early spring when the Atlanta Super Bowl Host Committee started getting the ball rolling. They were planning for a showcase to introduce the NFL Owners, Contractors and Partners to the hospitality of Atlanta, and giving them a sneak peak of what Atlanta had to offer. Out of all the 200 vendors already vetted to play a part of the upcoming festivities, Occasional Occasions was then selected as one of 35 total vendors to put on this showcase. We were elated. That is when we introduced our Vegetarian Roasted Sweet Potato and Black Bean Chili and Cornbread Fritter to the invited guests and although we were not aware at the time, but that was the start of us ultimately introducing our famous chili to the world. Fast forward after many months, layers of correspondence and security requirements, the day finally came on Sunday, 3 Feb 2019 to introduce the world to Occasional Occasions by Carlton. Going into the actual game day, I was extremely calm and did not have any real expectations of what it would feel like. When I walked into the hall with all its grandeur and glory, I was flabbergasted. The décor, layout and the mere size of the venue was incredible. 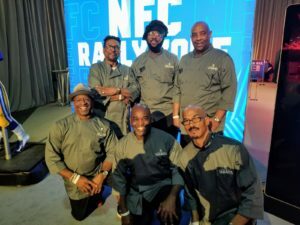 The attendees were just 10,000 folks personally invited by the NFL, consisting of Owners, Players, Celebrities and Sponsors. We were one of 40 caterers hired to pull off this huge event. The energy was electric, and the excitement was on another level. They had a huge stage setup for Tim McGraw (Country Singer) as well as a couple of other incredible acts. As my team and I was preparing our station, there was a very moment where I stood on the floor in front of my booth and there was no one else on the floor near me. I started to get choked up and had to fight back the tears. For my company to have been selected to play this role, it really touched me. It really reiterated to me how awesome my God is. Occasional Occasions has come a very long way over its 25 years of business, and I could not be more grateful.